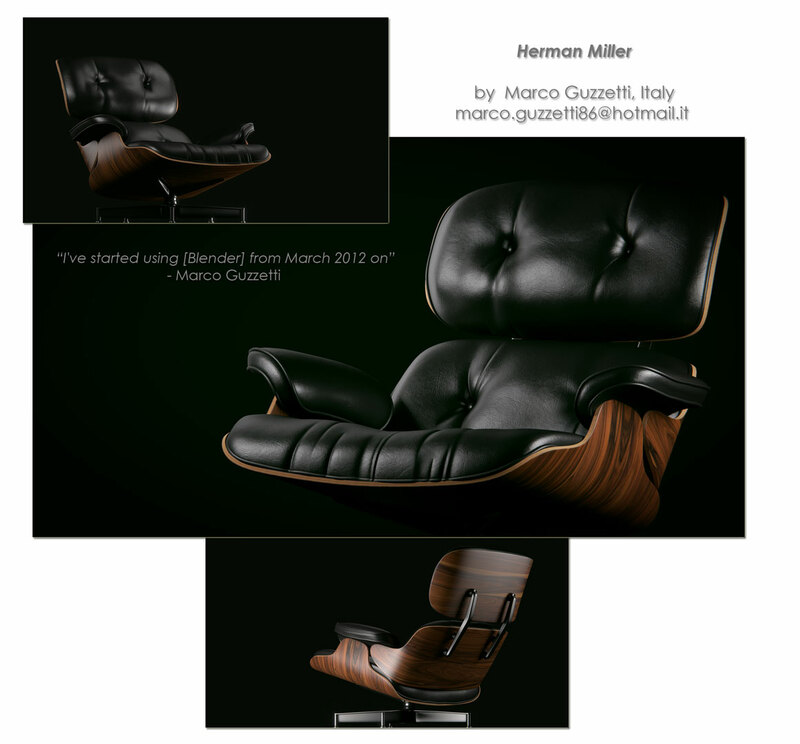 How good Blender can be for product visualization? What is required for a quality render fit for professional use? The stories of this week's select artists (listed by alphabetical order) have revealed some of the answers. My name is Lars-Kristian Johansen and I'm a software engineering student at Vestfold university college in Norway. My use of Blender as a hobby started around 6 years ago, but it really took off when version 2.5 was released. That was a milestone for me because everything started to make sense, and I was able to create the images I wanted to. I'm available as a freelancer. This project is a result of my modeling exercise where I wanted to focus on texture and material creation with the Cycles render engine. I wanted to make something that was easy and wouldn't take that long, so after having looked at what I had lying on my desk, I decided to make a image of my headset. 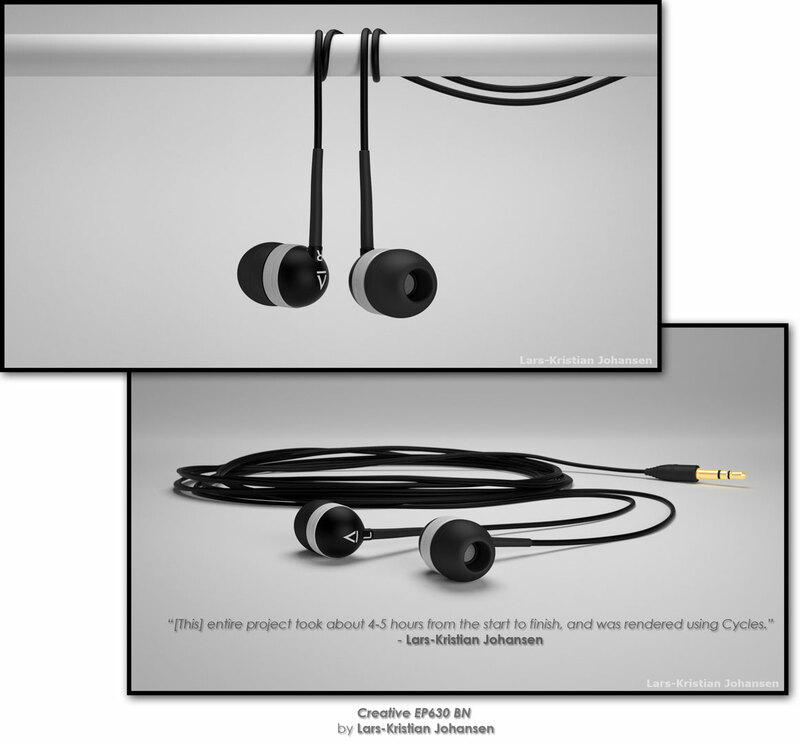 The entire project took about 4-5 hours from the start to finish, and was rendered using Cycles. My name is Ireneusz Gabryś and I'm from Poland. 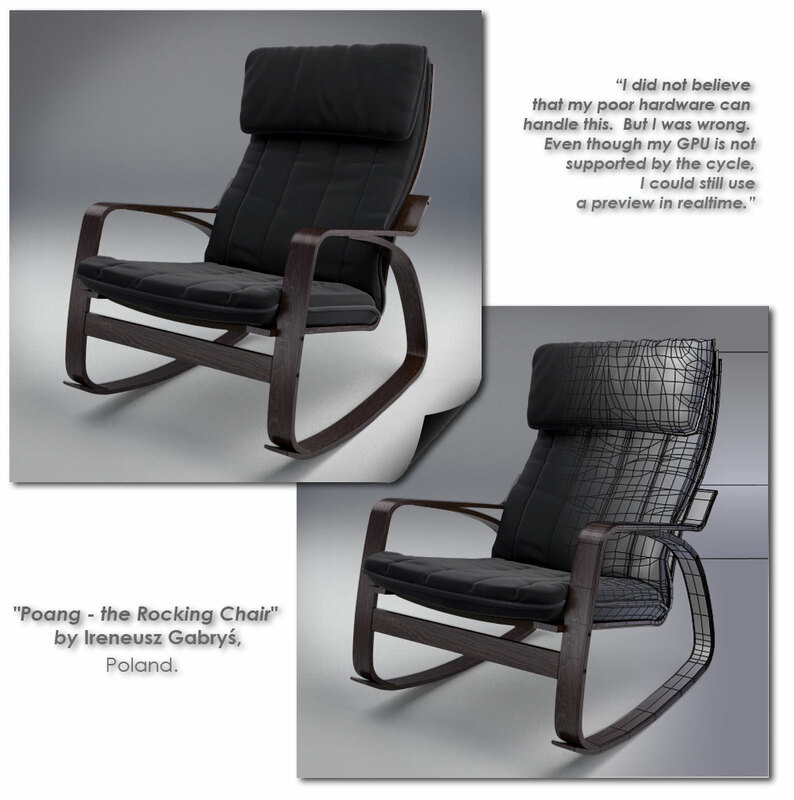 About "Poang - the Rocking Chair:"
"Poang - The Rocking Chair" is my first private project rendered in Cycle. I was looking for ideas on model. l wanted to find something that will not be another boring and easy to create an element of the room. When I found this chair, I knew that this is exactly what I was looking for. Modeling took several hours. I used new knife tool for this, which works just great. I had never used rendering engines other than blender internal. I did not believe that my poor hardware can handle this. But I was wrong. Even though my GPU is not supported by the cycle, I could still use a preview in realtime. Node system has allowed me to create materials quickly and easily. I am particularly pleased with the wood material. I'm Marco Guzzetti, from Milan, Italy. 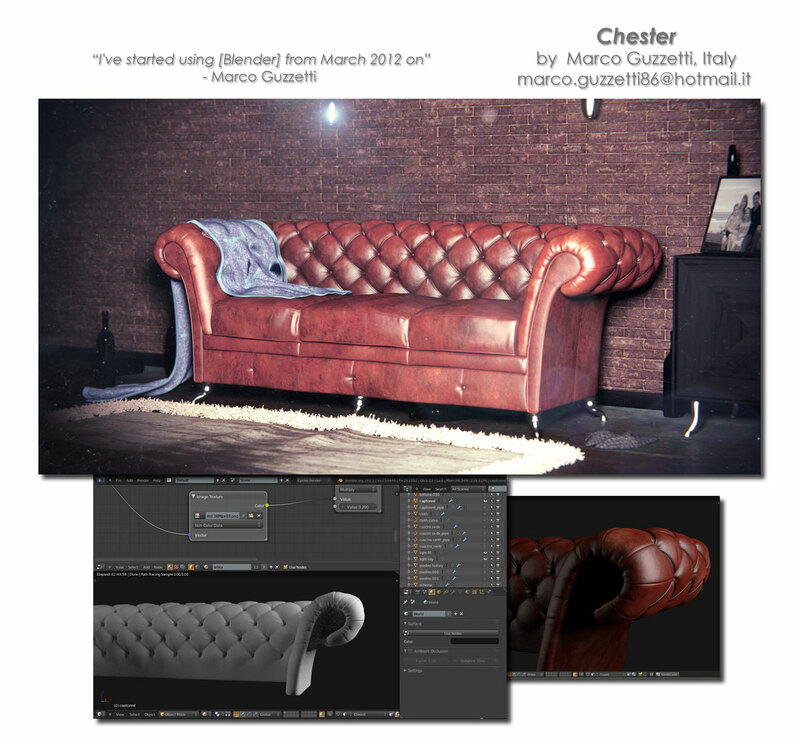 I started to use Blender since March 2012. With the introduction of Bmesh and Cycles renderer it got my attention and now I think it can really become a killer and fast growing 3D application. And Please stay tuned. More product viz are coming in the following weeks ahead.